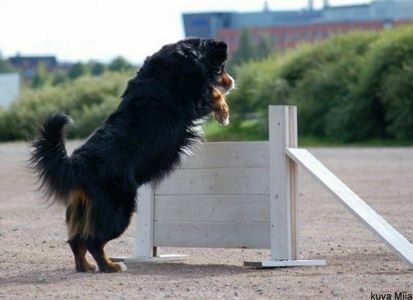 .. show dogs, rally obedience, agility, tracking .. 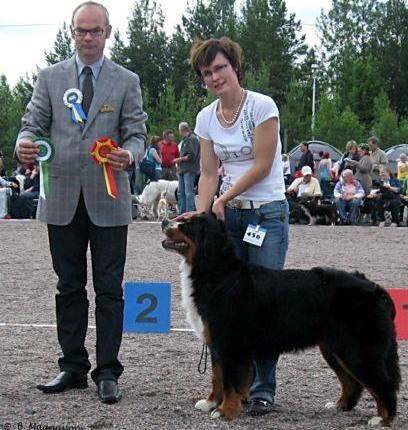 It is a pleasure to see Maroussia berners take part in various activities. 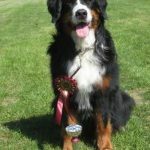 Dog shows, obedience, agility, rally obedience, tracking, animal-assisted activities – and keeping company on the couch. 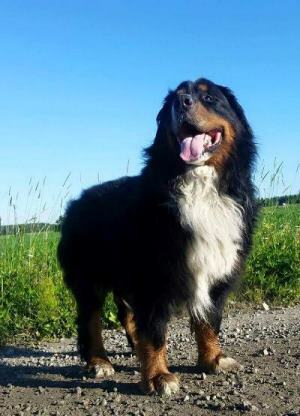 On this page we have collected pictures and texts about some berners who have been giving joy to their owners in many ways. 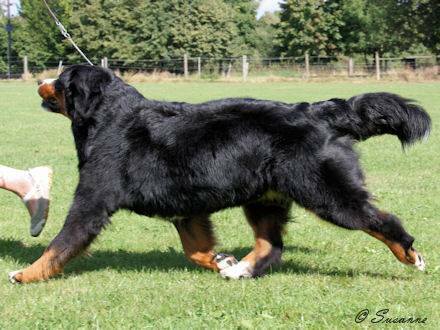 From the first Maroussia-litter (born 1993) FI CH Maroussia Alfaberlina “Jetta” (A 0/0) stayed home. 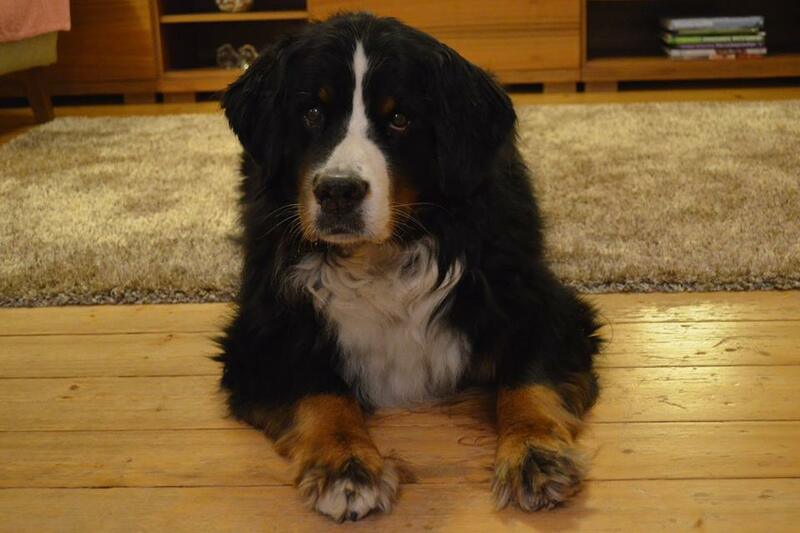 We get to keep her 13,9 years. 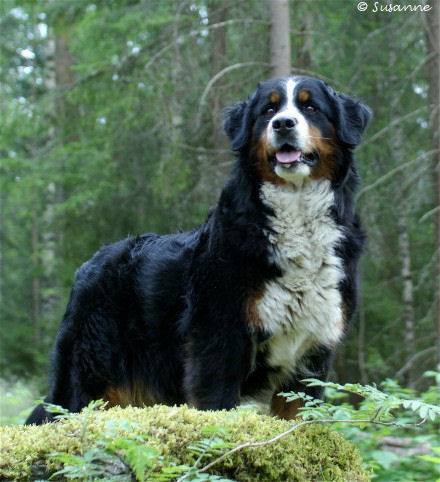 Jetta was everything a Berner should be; gentle and self-confident, lived a long and healthy life visiting the vet only for her vaccinations and she was beautiful. 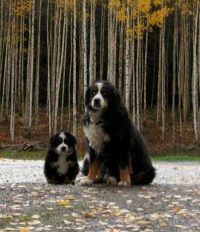 Jetta gave birth to 4 litters, easily and without caesarian sections and she was full of life until the very end. 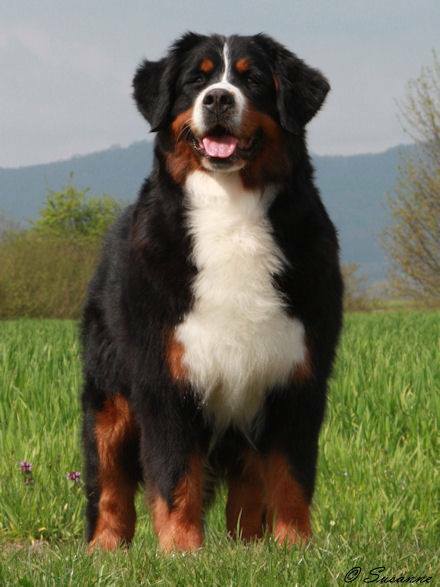 Jetta was a dream that will stay in our minds forever and she is also a goal for us, just the kind of Berner we want to breed. 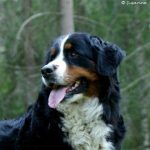 Laku was my very first dog. 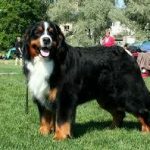 I fell in love with him when he was a wee little puppy in the whelping box, but he already had a home and I was never going to get a male dog… But he was meant to be mine, and at the age of 4,5 months Laku came to live with us. 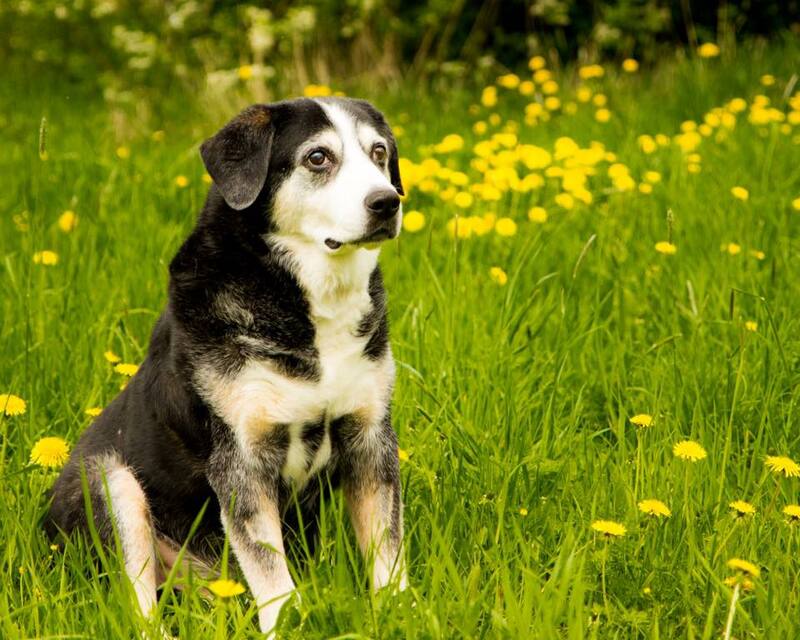 He was a smart and mischievous boy and he loved people unconditionally. 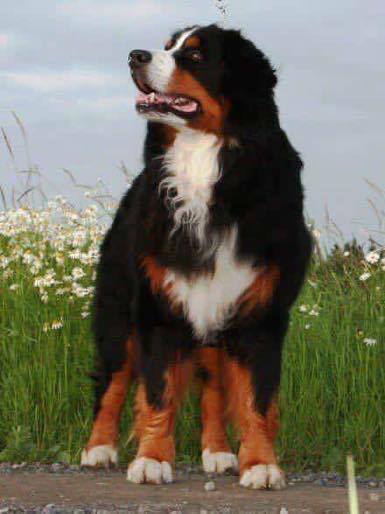 He had a heart of gold and we miss him dearly. 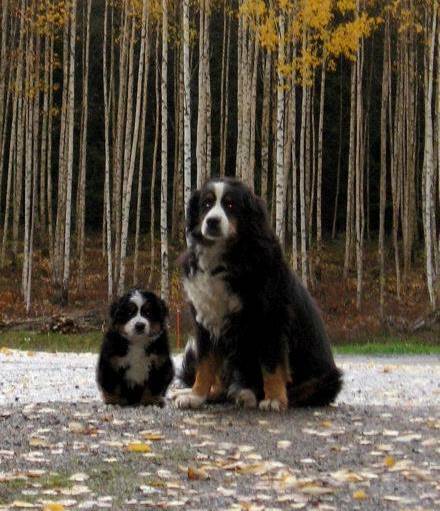 The first one and the best. Nelli was the first bernese I have owned, and a dear, true friend! 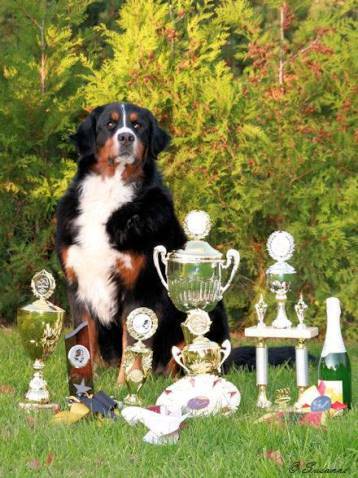 She competed in obedience with me and was a certified therapy dog, working with disabled people and in elderly homes. 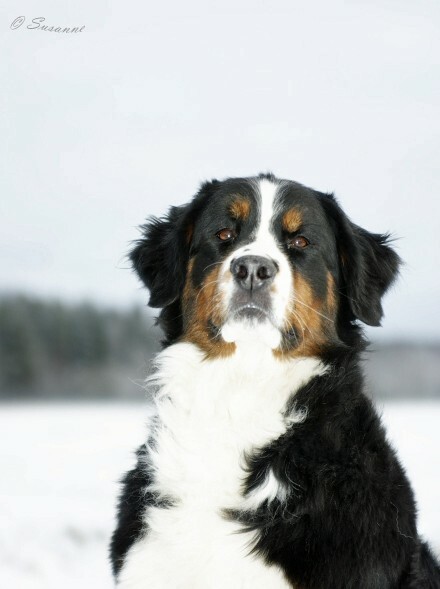 She was calm and gentle, and never ever fought with anyone. 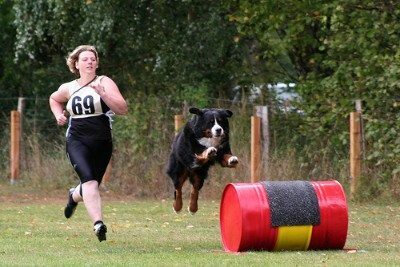 Despite her calmness, she was eager to chase rabbits, though. 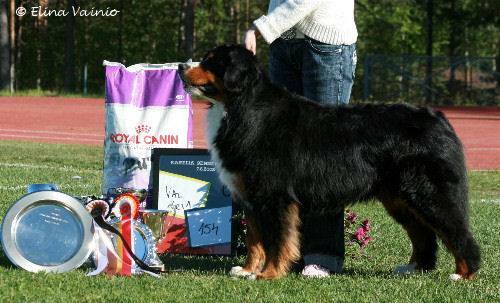 AT VET CH AVBDSG-09, MEEVW-09, Best veteran placements in Finland, Sweden, Gemany, Netherlands and Austria. 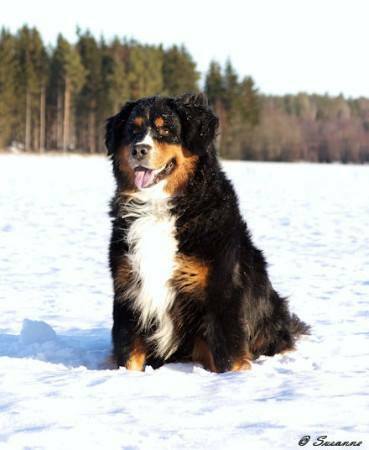 Our first dog Onni joined us as a puppy and went on to spend 14 wonderful years with my family. There was never a dull moment with Onni, he showed us love and affection and taught us all the true meaning of friendship. 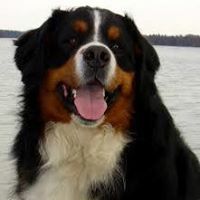 He loved to go on long walks and really enjoyed swimming. 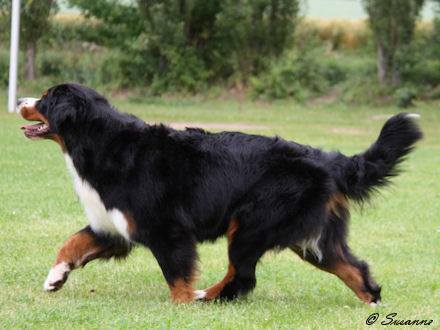 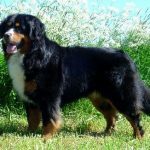 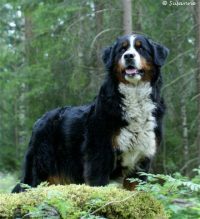 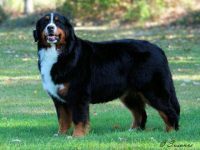 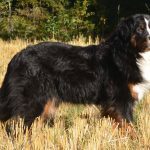 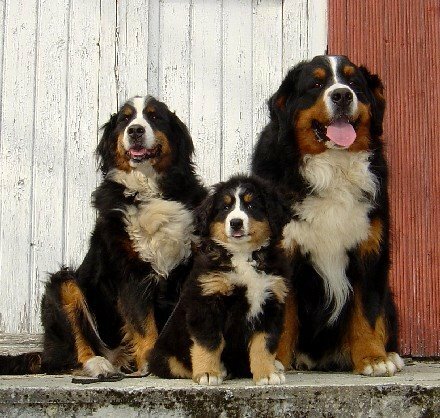 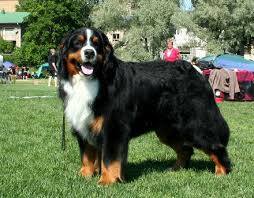 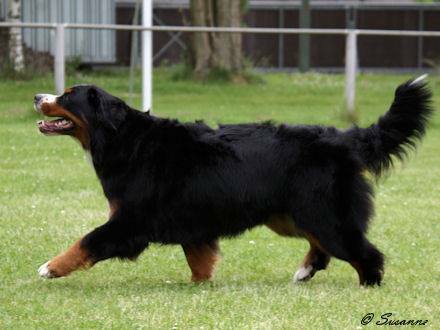 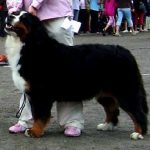 Onni lived a long and healthy life; the first six years as our only dog and thereafter as the undeniable leader of a pack of four male Bernese mountain dogs. 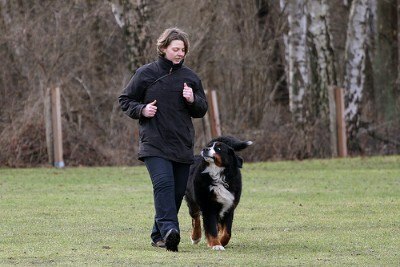 We did a lot of obedience training together, where Onni showed us he could do so much more than the trainer asked. At the age of nine Onni became the father of seven puppies, toured European dog shows and became the veteran champion in Austria. 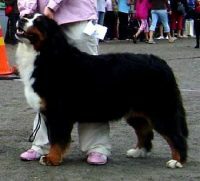 Despite this excitement, his fame and his stardom; our everyday life was always the most important part of Onni’s world. 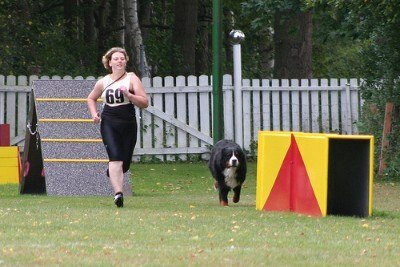 Onni really was the ”one and only”. 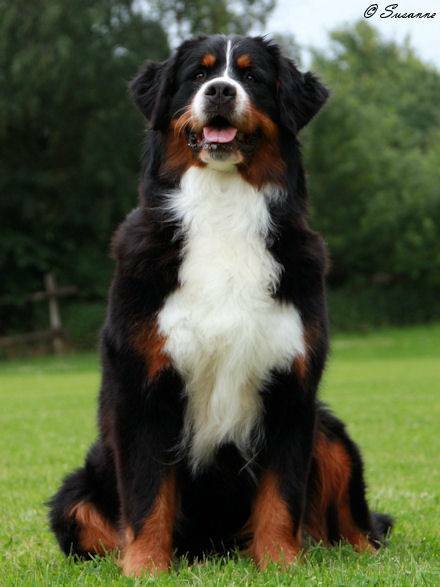 Always ready for anything as a loyal and faithful member of our family.